"In​ ​the​ ​powder​ ​coating​ ​industry,​ ​it​ ​is​ ​not​ ​everyday​ ​that​ ​something​ ​so​ ​industry-changing arises.​ ​​ ​This​ ​is​ ​one​ ​of​ ​those​ ​rare​ ​occasions.​ ​​ ​ATMS​ ​changed​ ​everything​ ​for​ ​my​ ​company. I​ ​was ​asked​ ​to​ ​beta​ ​test​ ​the​ ​ATMS​ ​(THE BOX) on​ ​multiple​ ​occasions​ ​and​ ​have​ ​been​ ​tracking​ ​it through​ ​testing​ ​since​ ​2013.​ ​​ ​The​ ​opportunity​ ​to​ ​probe,​ ​track,​ ​record,​ ​and​ ​SEE​ ​your substrates​ ​during​ ​temperature​ ​testing​ ​is​ ​invaluable.​ ​​ ​At​ ​no​ ​other​ ​time​ ​have​ ​I​ ​thought​ ​“I know​ ​exactly​ ​what​ ​is​ ​going​ ​on”​ ​in​ ​my​ ​ovens. I​ ​would​ ​recommend​ ​this​ ​product​ ​to​ ​anyone​ ​who​ ​values​ ​getting​ ​real​ ​data,​ ​in​ ​real time,​ ​at significant​ ​cost​ ​savings​ ​compared​ ​to​ ​other​ ​brands." Watch this video to learn how THE BOX can benefit your company. Click in the link below to see how ATMS can help you easily optimize our oven. ATMS developed a real time temperature profiling system specifically designed to be used when curing powder coated parts. Below is a list of reasons our system will benefit your company if used properly. REAL TIME- Allows more flexibility to monitor your process and make adjustments in REAL TIME. You can also use THE BOX while you powder coat parts. Get some powder on THE BOX or probes, it comes right off even after the cure oven. QUALITY- Will help you verify your parts were fully cured per manufacture's specs. EFFICIENCY- Will help you maximize your oven which could increased profits. SOFTWARE- ATMS software has user adjustable timers to help ensure parts are cured per manufacture's specs. EASY TO USE- THE BOX and software were designed to be user friendly. PROBES- ATMS probes are very small yet very accurate. ATMS uses special limits of error ANSI MC96.1 +/- 4% or 1.1oC thermocouple wire. The wire is coated with PTFE and rated to 260oC (500oF). OVEN TIME - Can stay in an oven at 400oF for over 4 straight hours. CERTIFICATION - THE BOX is ISO 9002 certified by an independent facility CATLab. CATLab was the first Instrumentation Service Company in the southeast to earn UL Registration to ISO 9002 and then the first to achieve ISO/IEC Guide 25 accreditation, with two ISO/IEC 17025:2005 Accredited Laboratories. SILICON FREE - Silicon free design. 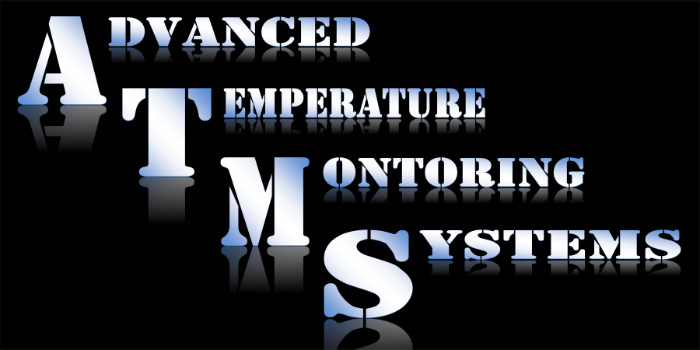 A REAL TIME temperature profiling system. The electronics are built into THE BOX, with 8 K-Type channels. With THE BOX no more waiting to see if the part is cured. View it real time and make process adjustments as needed. ATMS probes are very different from other probes on the market. We worked hard to insure measurement accuracy while also designing a probe that has a small footprint. The probes are designed to be used even when you are coating a part. Our software will help you make informed decisions real time before the part comes out of the oven.